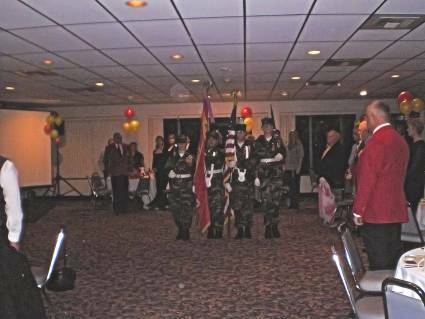 Saturday evening, November 10, 2007, selected members of our Tri-City Young Marines Color Guard, were honored to provide their services for Veterans at the annual Marine Corps Ball at the Clover Island Inn, Kennewick. As you can see by the following pictures, everyone looked wonderful! A great time was had by all in attendance. THANK YOU MARINE CORPS VETS!!! We appreciate your service to our country! 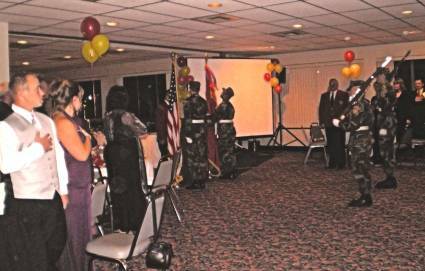 Our Color Guard detail for the Marine Corps Ball consisted of GnySgt. 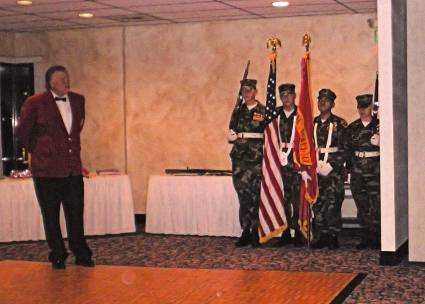 Bowman, SSgt. Haeg, SSgt. Guerrero and Sgt. Osborn. You all did a wonderful job...and I hear you didn't mind being with Miss Tri-Cities either. 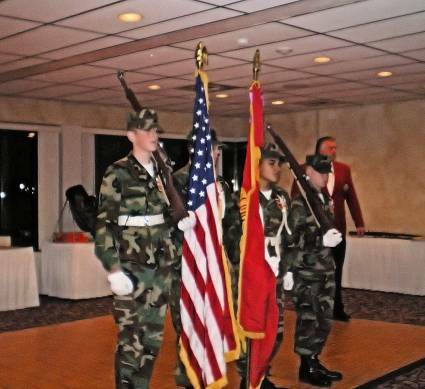 Tri-City Young Marines Color Guard beginning to post the colors and begin the Marine Corps Ball evening ceremonies. 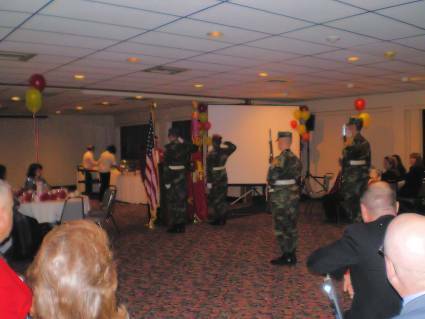 Our Our Young Marines at attention and watching over the cake portion of the Marine Corps Ball. 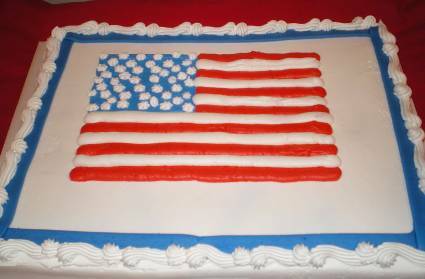 Pretty nice cake...love that flag! 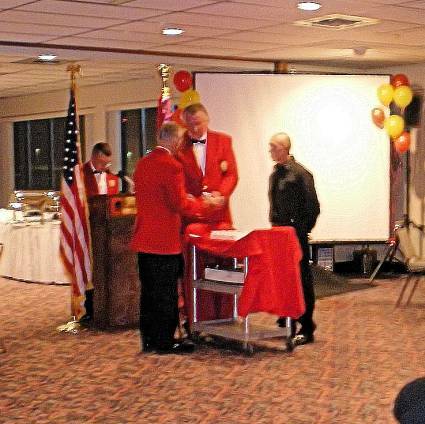 It's customary that the oldest Marine in attendance gives a piece of cake to the youngest Marine in attendance. Who is the handsome looking couple in attendance? None other than Staff Members Mr. and Mrs. Tonda. WOW...you both look amazing! OORAH! 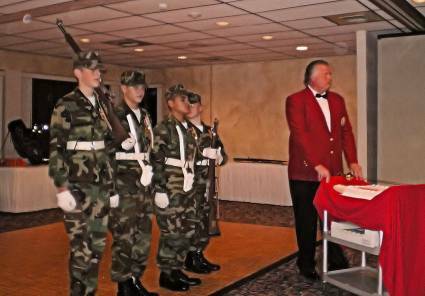 The cool part about Color Guard detail for the Marine Corps Ball...they love to feed our Young Marines. Word is, the food was great! 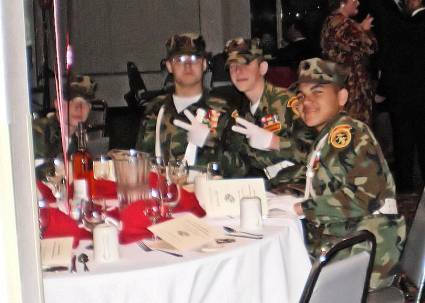 Guess dinner wasn't the only benefit of Color Guard duty, these Young Marines were also fortunate enough to get there picture taken with the current Miss Tri-Cities. Okay, one serious picture was fine...now we've got to smile. The guys at school aren't going to believe this. Color Guard detail starts to retire the colors. 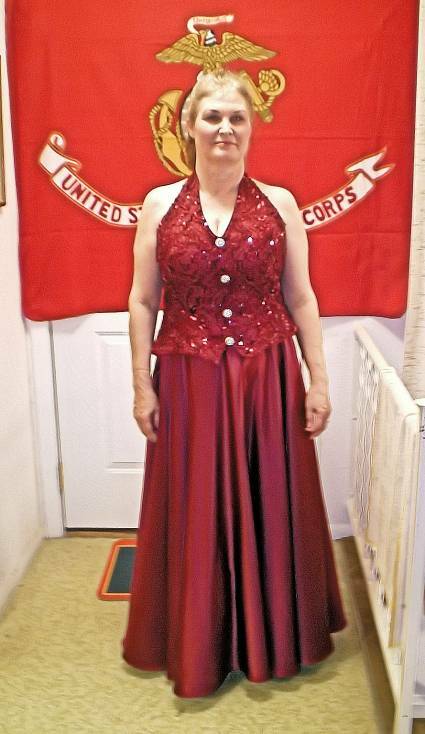 We had a few more nice pictures of Mrs. Tonda, we just had to put one more out here..you look gorgeous! 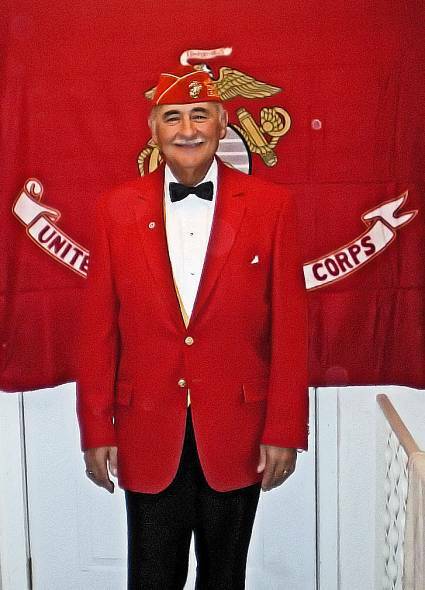 Thought it would be a good idea to let you Young Marines know that Mr. Tonda is capable of smiling...he really IS a nice man...just as long as you do what he says! 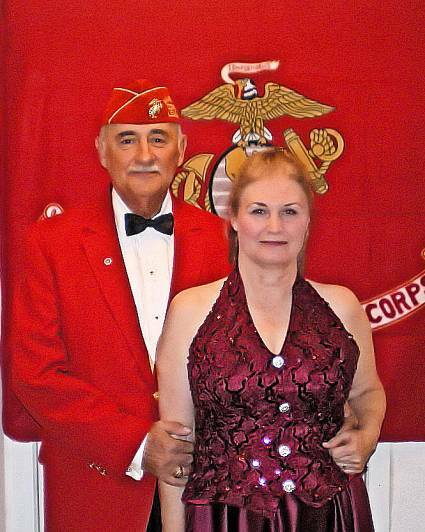 You're looking very dapper Mr. Tonda, thanks for serving our Country!